Playa Jefferson is a dynamic office campus located in Playa Vista, CA. The campus features over 200,000 square feet of creative office space, with dramatic and distinctive architecture and substantial exterior shared communal space with outdoor dining and meeting areas, shared bikes and food trucks. 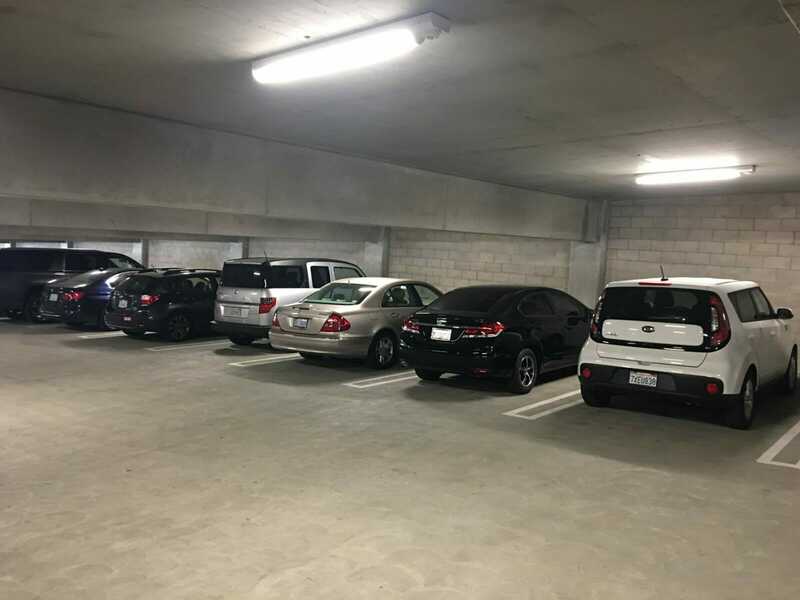 Parking operator, looking for an energy efficient lighting solution for its new project, generated several options which included FSC lighting’s L6000 Series. The massive development included lighting a five level, 617 space structure, in the heart of Playa Vista, in Los Angeles. FSC was selected after an in-depth evaluation concluded the L6000 Series would yield the lowest labor and maintenance costs, provide a long useful life, and produce superior light quality. 390 luminaires were installed in the structure providing a lighting power density well below California Title 24 Energy Code requirements. In addition, the L6000 Series fixtures are controlled by an integrated high/low passive infrared, Title 24 compliant sensor which helps provide additional savings by reducing energy consumption when the lot is unoccupied. By adopting the LED solution over the fluorescent option, the structure will use 50% less energy. The long life of the L-Bar system will also contribute to significant reduction in maintenance costs by nearly eliminating the staggering expense of re-lamping.